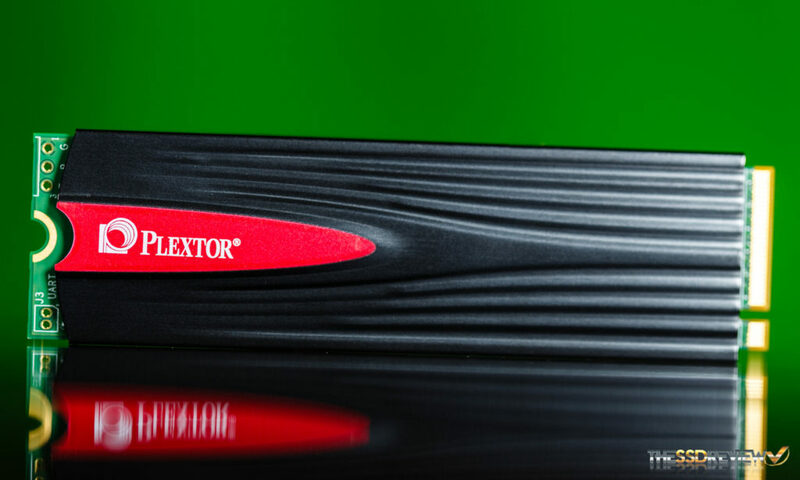 First revealed back at Computex 2017, Plextor is back at it again with a new product. 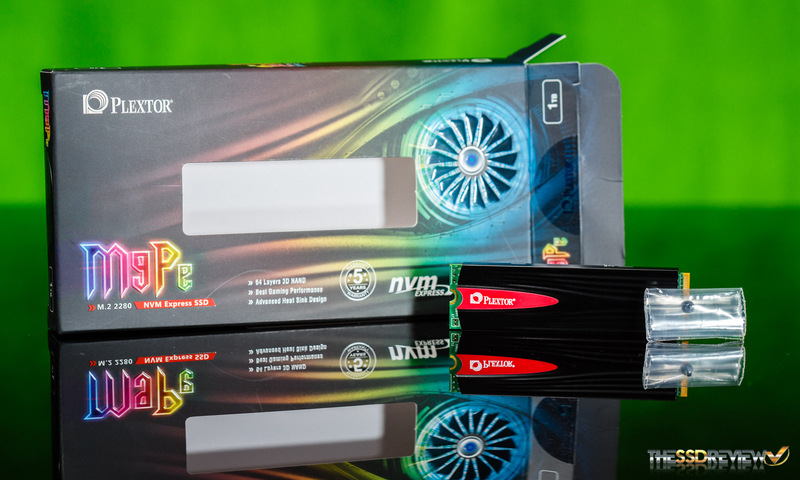 Today, we have in our hands their top of the line PCIe NVMe SSD, the M9Pe. While it is not out quite yet, its release is right around the corner. The M9Pe, similar to the M8Pe before it, utilizes the same controller, a Marvell 88SS1093, but instead of MLC NAND, the M9Pe features Toshiba’s latest BiCS 3 64-layer 3D TLC NAND. And, contrary to what one would traditionally believe, the M9Pe even dishes out higher performance than its MLC based predecessor, up to 3.2GB/s reads and 2.1GB/s writes to be exact. With performance stats like these and a quick glance at the feature set, we’re left here thinking that it just might have what it takes to trade blows with the best in the market. So, without further ado, let’s get on with the review to see if the Plextor M9Pe can rank amongst the best SSDs your money can buy. 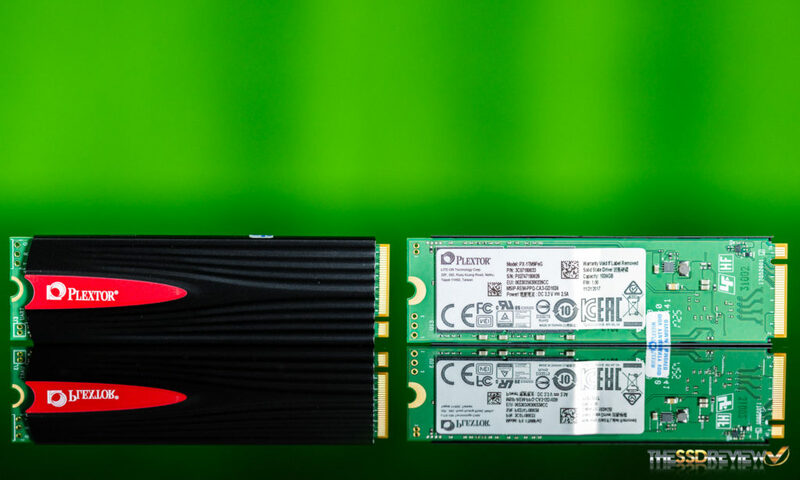 The Plextor M9Pe is a PCIe 3.0 x4 NVMe SSD that will be available in both an M.2 2280 and HHHL AIC form factors (M9PeY). Additionally, the M.2 form factor can come with (M9PeG) or without a heat sink (M9PeGN), our sample having said heat sink. Currently, it is unavailable, but it should be out in March in capacities of 256GB (~$110-147), 512GB (~$209-245), and 1TB ($415-452). Sequential performance is rated for up to 3.2GB/s read and 2.1GB/s write, although performance is slightly less for the models smaller than 1TB. It also offers 4K random performance of up to 400K/300K IOPS read/write. The endurance figures that are slightly less than the predecessor, but are still very respectable. The 256GB model is rated for up to 160TB, the 512GB model is rated for up to 320TB, and the 1TB model is rated for up to 640TB. On top of that, Plextor backs the M9Pe with a 5-year warranty. 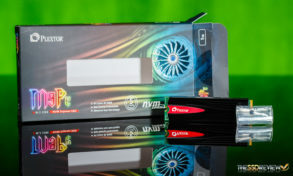 The M9Pe features an M.2 to PCIe Add-in Card adapter with heat sink and RGB lighting if you get the most expensive model, otherwise, you will be bare of RGB lighting and come as a lone M.2 stick or an M.2 stick with a heatsink. It also features LDPC error correction, and PlexNitro, a proprietary cache optimization technology to boost performance (essentially SLC caching for writes). 128-bit ECC and a Robust Data Hold-out Algorithm are used to ensure data is written and read accurately. Furthermore, another proprietary feature, TrueSpeed, supposedly helps the SSD’s performance remain like new, even after prolonged use. 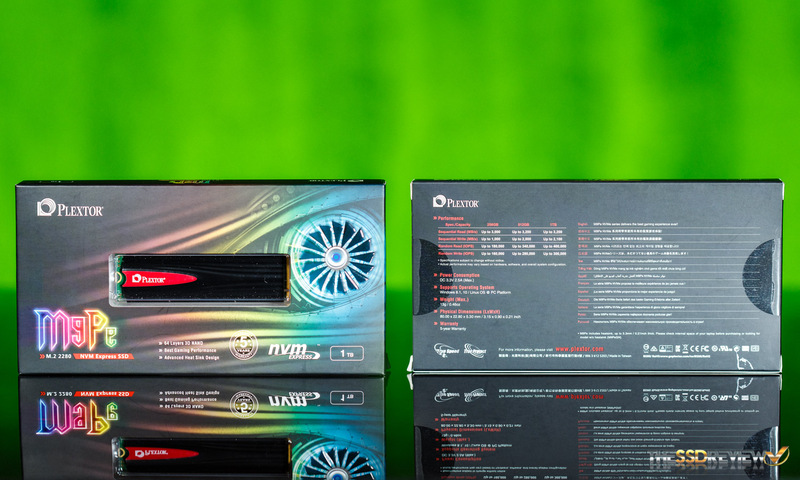 It meets all the NVMe 1.2 standards and supports TRIM, Secure Erase, SMART, and has thermal throttling built in. Finally, it has support for L1.2 power saving mode. There is no hardware-based encryption support nor an SSD Toolbox at this time. The packaging that the M9Pe comes in is very nice. It is a black and RGB theme. On the front is a window to view the drive, some marketing key points, as well as capacity, form factor, and warranty length. On the back are some performance and size specifications as well as the certifications the M9Pe meets. Besides the SSD itself, the Plextor M9Pe comes with a small screw to secure your M.2 device in case you lost your original that was supposed to come with your motherboard or system. As you can see, the heat sink covers the controller and DRAM side of the PCB. There is a full-length piece of thermal tape between the heatsink and the components to help with heat transfer. 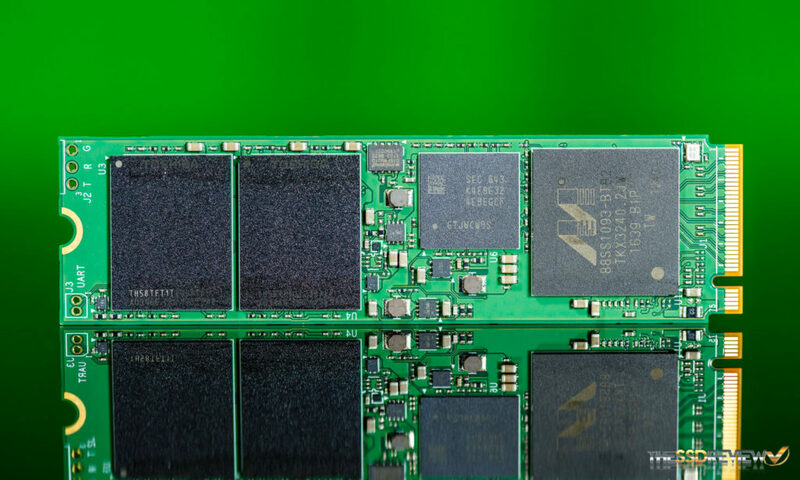 The Marvell 88SS1093 controller in this SSD is the same that was in the last Plextor SSD we reviewed, the M8Se. While it did show some potential, overall, there was much left to be desired from M8Se’s performance. Let’s look forward to seeing if the flagship model is truly better now that they paired the Marvell 1093 with Toshiba’s latest 64-layer 3D TLC.